The Coastal Rural Support Programme (CRSP) in Tanzania is a multi-input area development programme of the Aga Khan Foundation (AKF). 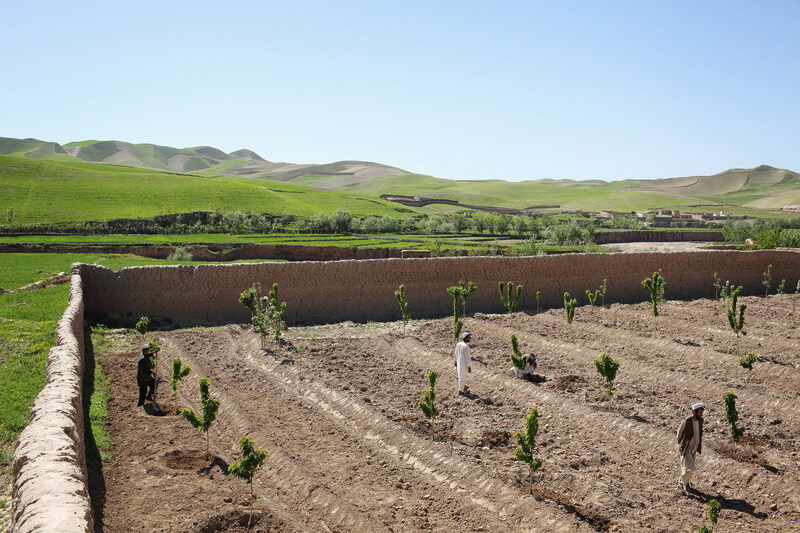 A cherry and apple orchard Demonstration Plot planted with the assistance of the Aga Khan Foundation, in Rustaq District, Takhar, Afghanistan. 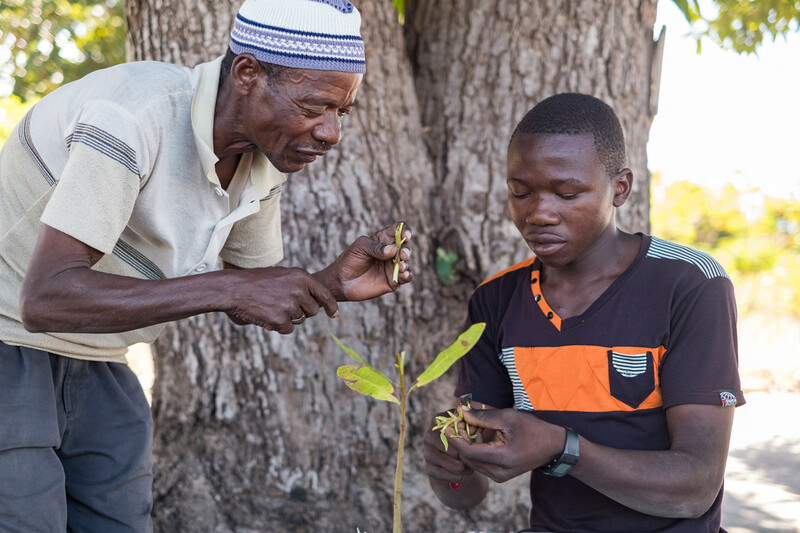 In Mozambique, with funding from USDA, AKF is implementing MozaCajú's agricultural extension efforts by training smallholder cashew farmers in Cabo Delgado, Nampula, and Zambezia on improved production methods (photo: grafting), improving their access to yield-promoting inputs, and linking them with processing and export facilities. Kitchen garden, Sofia Region, Madagascar. 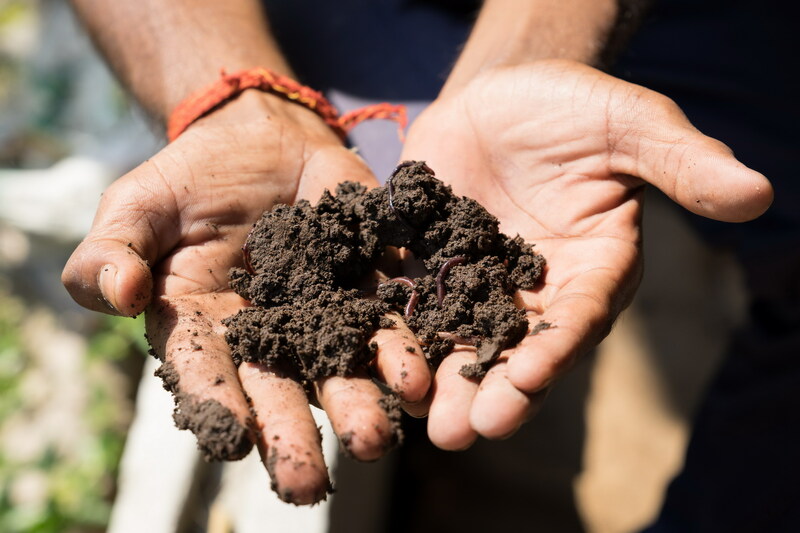 AKF’s efforts in Madagascar are focused on three core objectives: improving food security; environmental protection; and connecting the poor to markets. Afghanistan is still largely a rural society with a subsistence economy based on agriculture. With a rapidly growing population, and millions of refugees having returned from neighbouring countries, the limited resources of farmland and water are under greater pressure than ever before. Hwida and Her Kitchen Garden, village of Eqleet, Aswan, Egypt. AKDN’s Agriculture and Food security programme in Egypt was established in 2007 through Om Habibeh Foundation in Aswan in South Egypt. The programme was designed to improve the productivity, market access and agricultural practical knowledge and technical capacities of smallholder farmers in Aswan. When it was established by His Highness the Aga Khan in 1984, the Aga Khan Rural Support Programme in India (AKRSP) started field operations in the state of Gujarat. Since then, AKRSP has reached over 500,000 beneficiaries in over 1100 villages. At Mgandini, Kwale District, Kenya, the AKF Coastal Rural Support Programme works with a farmer to raise goats. The Coastal Rural Support Programme (CRSP) in Kenya has been working in semi-arid, marginalised rural areas of Coast Province since 1997. Over the last decade, the programme has grown from working with four village organisations to working with 195 village organisations. In a programme supported by AKF's Mountain Societies Development Support Programme (MSDP), master masons in Alai District of Osh Oblast, Kyrghyz Republic, trained on seismic-resistant construction methods pass along their knowledge to other local masons so that the practices become sustainable throughout the community. In Kyrgyzstan, the Aga Khan Foundation works through the Mountain Societies Development Support Programme (MSDSP), a locally registered NGO established in 2003. MSDSP’s overall goal is to improve living conditions in selected mountain communities in the country. 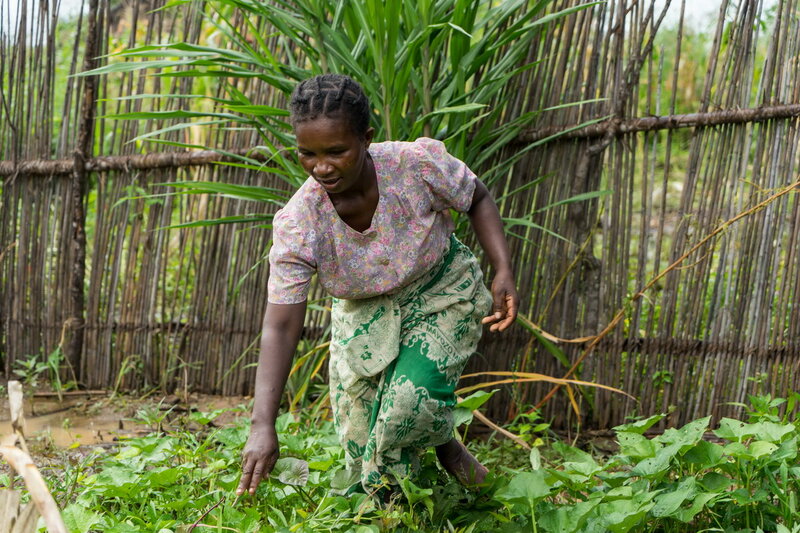 In Africa, one of the greatest challenges to development has been food security - the ability of farming populations to grow enough crops to feed their families through the "hungry" season. Typically, during this time, families eat only once a day. 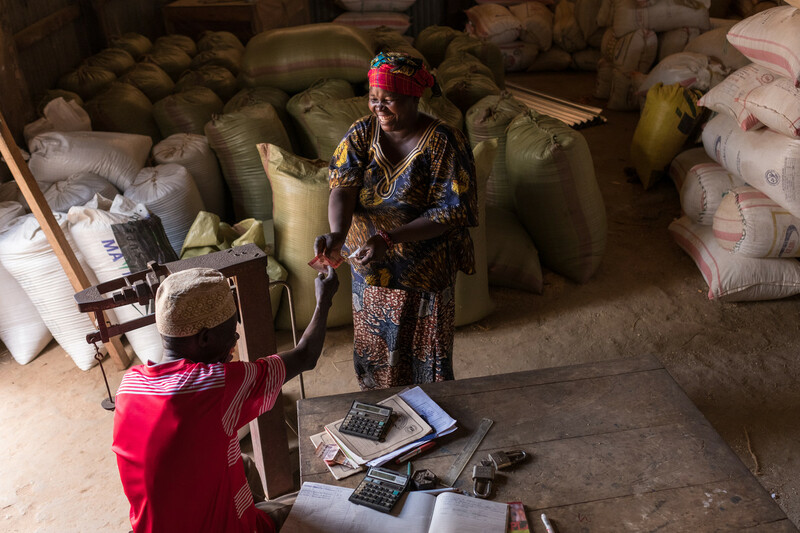 The Rural Support Programme, in the Mopti Region of Mali, follows the AKDN approach of working in partnership with local communities to improve agricultural productivity and rural livelihoods. In Mali, the Aga Khan Foundation's (AKF) Rural Development Programme works in partnership with local communities to improve agricultural productivity and rural livelihoods. The programme's goals are to increase food security and enhance nutrition and increase incomes. Farmer Field Schools - Village Organisation in Mozambique. In response to the extreme poverty and isolation facing rural communities of northern Mozambique, AKF created the Coastal Rural Support Programme in the province of Cabo Delgado in 2001. Before the Karakorum Highway was built in the late 1970s, the areas of Gilgit-Baltistan and Chitral were isolated from the rest of Pakistan. Most people lived from subsistence agriculture. AKF is supporting mushroom production in drought-prone rural areas of Syria's Salamieh province as a means of supplementing family income. Since 2003, the Rural Development Programme in Syria has worked with agriculturally reliant communities in Salamieh District on the persistent issue of water shortages. In Tajikistan, the Aga Khan Foundation (AKF) supplies machinery to harvest the potatoes, works with farmer groups to disseminate good techniques and transports produce to market in Khorog. This has significantly increased production. At independence, Tajikistan faced a variety of rural development challenges precipitated by the collapse of the Soviet Union and the ensuing civil war from 1992 to 1997. The Coastal Rural Support Programme in Tanzania, or CRSP(T), is a multi-input area development programme of the Aga Khan Foundation (AKF).